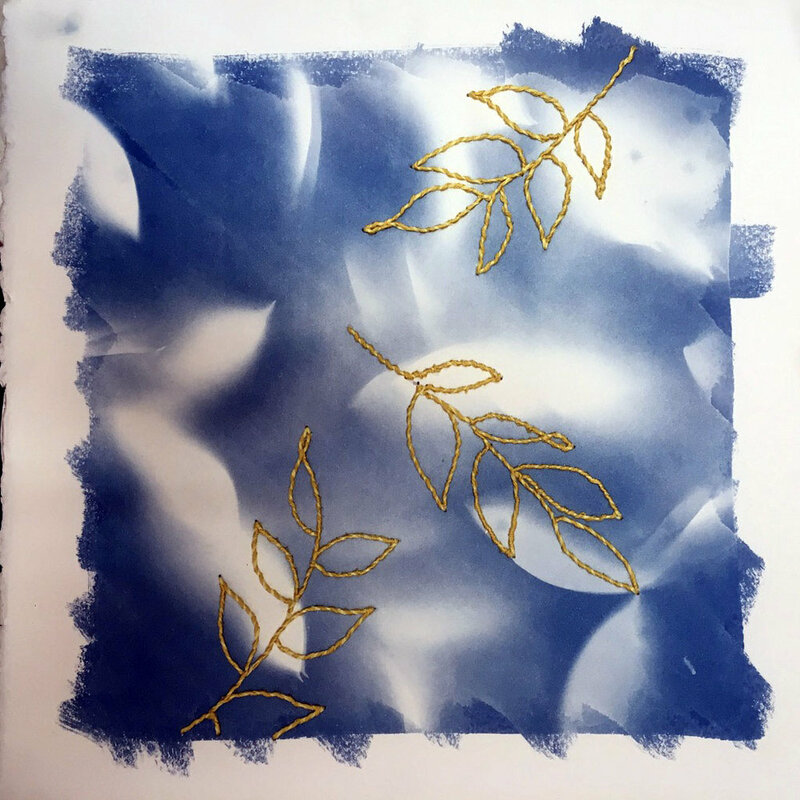 The cyanotype process is a simple, inexpensive, and endlessly versatile process that can be used on a number of surfaces, including paper and fabric as well as glass and wood. The initial natural color is a beautiful deep blue; but through toning, the color can range to grays, browns and black. It can be used in combination with a wide range of other media, making it a useful tool for photographers, printmakers, painters, fabric artists, and even ceramicists and sculptors. Yet it is simple enough that non-artists - even older children - can use it to make simple images. In this workshop for beginners, participants will learn the simple mixing of the chemical emulsion, explore various ways of making both photographic and non-photographic negatives, and enjoy the process of exposing and developing their own images. This workshop is $50 per person. Adam Finkelston is an artist, art educator, and magazine publisher based in Prairie Village, KS. 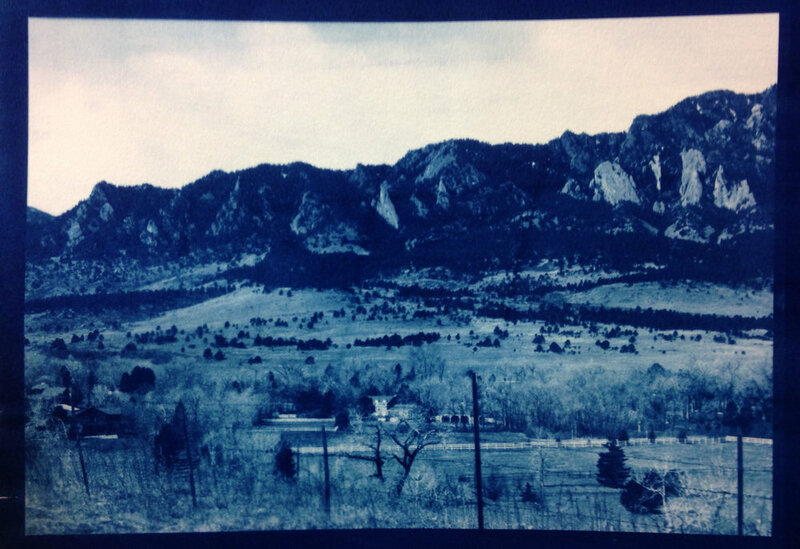 Mr. Finkelston has shown his photographs in many solo and group exhibitions, and received several awards for his work. He is the owner, publisher, and editor of The Hand Magazine, specializing in printmaking and alternative process photography. Mr. Finkelston has taught photography for 12 years at Shawnee Mission East and also teaches elective and continuing ed courses at the Kansas City Art Institute. He holds an MA in Photography from the University of Missouri- Kansas City (UMKC), a BFA in Photography from the Kansas City Art Institute, and a BA in Art Education from UMKC.